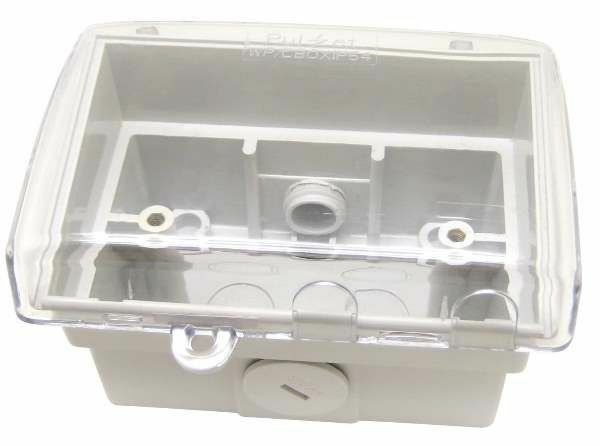 Weatherproof Box, wetherproof enclosure with clear lid and locking provision. Weatherproof enclosure with clear lid and locking provision. IP54 rated weatherproof enclosure.Designerd by electricians for electricians. Multiple conduit and wire entry options. Multiple mounting points for maximum versatility.